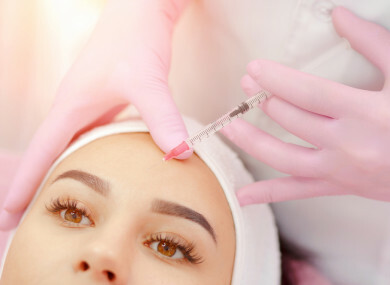 A BEAUTY CLINIC owner told inspectors she knew she was on a “sticky wicket” when she administered anti-wrinkle botox like treatments, trial has heard. Anne Rossi, who runs the Anne Rossi Clinic, at Vernon Avenue, Clontarf, Dublin 3, is being prosecuted by the Health Products Regulatory Authority (HPRA) on 18 counts under the Irish Medicines Board Act. The HPRA is the regulatory body for prescription medicines in Ireland. She has pleaded not guilty to all the charges and has gone on trial before Judge John Brennan at Dublin District Court. The court heard that the term botox was a brand and trademarked but not a product featured in the charges, however, it was used as a generic term for similar products which contain the same active ingredient Botulinum Toxin A.
HPRA inspector Niall McCarthy told the trial today that he was granted a search warrant and went to Ms Rossi’s home on the Howth Road in Raheny, Dublin on the morning of 19 February last year. During the search invoices from a health products supplier for Dysport were found. During another search later that morning the Anne Rossi Clinic, at Vernon Avenue was also inspected. Dysport was found in a fridge and Ms Rossi, a former psychiatric nurse, was interviewed under caution. Mr McCarthy said that during the interview she said she had administered botox like treatments using the product Dysport and had been doing so for the previous year. In her statement she said she injected customers after showing them areas which needed botox treatment which cost about €250 to €300, the trial heard. He said she told him that “I knew I was on a sticky wicket for the last year or so”. He said she admitted she did not have a prescription and she was aware that the product subject to prescription control. The HPRA inspector said that she said in her interview that she had been trying to get a doctor to administer the treatment at her clinic but could not get one. She said that some weeks she had two customers, three on some others and some weeks she would have none, for the treatment. It is the prosecution case that it was imported into the State without permission and administered to customers by injection at Ms Rossi’s clinic. Mr Kennedy said it must be done by a doctor or a pharmacist. Three women had told the court earlier that they had received the botox treatments in 2014 and 2015 at her clinic from Ms Rossi and no doctor was present. Dr Muckesh Lalloo a skin surgeon specialist, who works out of a HSE clinic at Blanchardstown Primary Care Centre in Dublin said he reported the Anne Rossi clinic to the HPRA after a patient came to him with “one brow lower than the other” which he said was consistent with “inexpert administration” of Botulinum Toxin A which has a freezing effect. He said it was a “very powerful substance”. A district court conviction for the charges can result in a fine and, or a jail sentence of up to one year. The trial continues tomorrow. Email “Beautician 'knew she was on sticky wicket’ giving botox-like injections, trial told”. Feedback on “Beautician 'knew she was on sticky wicket’ giving botox-like injections, trial told”.